A distributor operates a warehouse. Product comes in, is stored, retrieved and shipped. Nothing changes with the product but the quantity. Then there are web-based virtual paper warehouses that simply direct you to other people's warehouse stock. 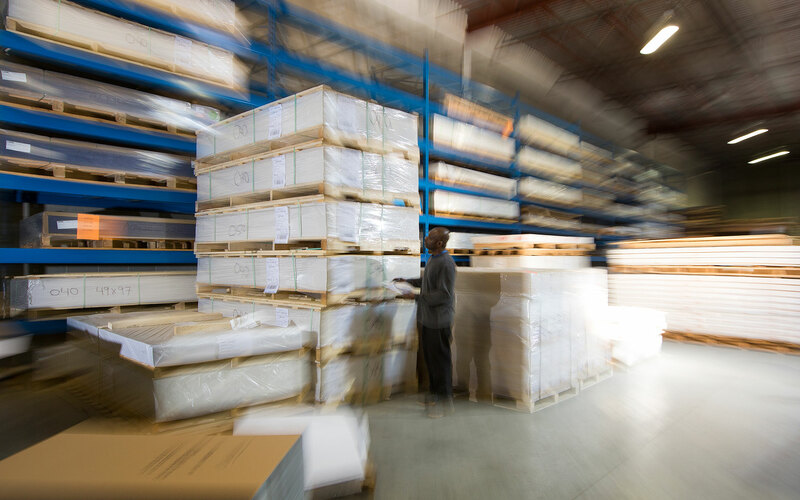 As the largest full-service plastic and paper supplier in Canada, we start with a vast array of carefully selected plastic, paper, paperboard and magnetic materials, based on their combination of value and performance. 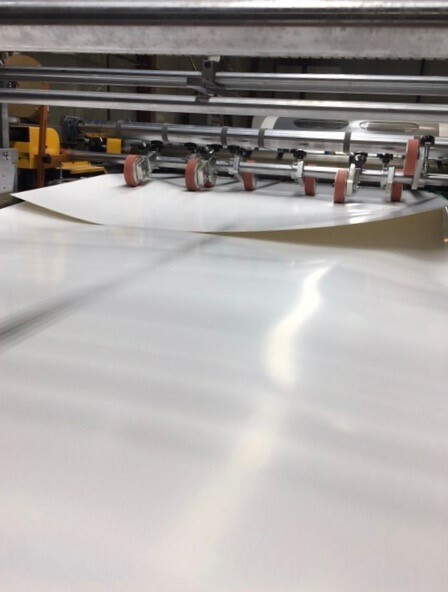 We then use our industry-largest cutting and sheeting equipment to customize your substrate for your immediate use in its designated application – just-in-time. 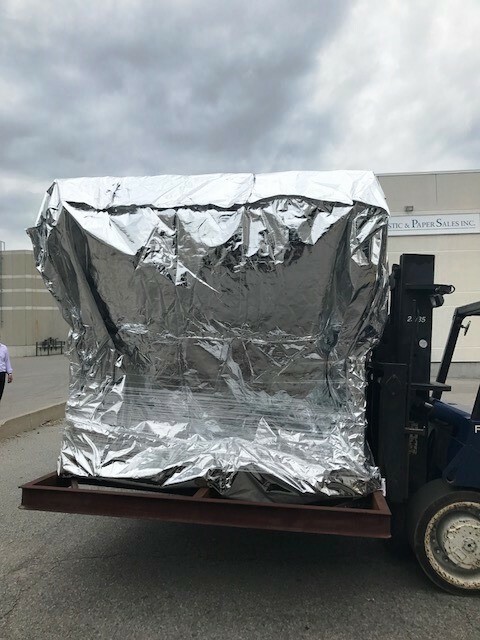 And it’s not just any sheeter – Plastic+Paper’s MEGA sheeter is the biggest, fastest and most customizable sheeter anywhere in Canada. With a large-format smooth-cutting computerized panel saw; large-format computerized guillotine for clean, smooth edges; and large-format computerized sheeting and slitting capabilities, we handle all your product customization in-house. WATCH CANADA’S BIGGEST, FASTEST AND MOST VERSATILE SHEETER IN ACTION. The MEGA sheeter’s out-of-the-box capabilities are the result of anything but off-the-shelf technology. Plastic+Paper put its 100 years of production expertise to work helping to design and engineer a new generation of sheeter specifically developed to handle today’s demand for large-format digital printing. We couldn’t simply look to an existing technology to solve the increasingly complex demands of today’s large-format, high-volume presses. So we built it. From scratch. It represents the largest investment in sheeter technology in Canada in decades. And it’s ready to go to work for you today. Having these capabilities in-house saves you both time and money. Best of all, our service comes with decades of experience in the business – and a history that extends back more than 100 years. That's your assurance that you'll source the right product for the job – prepared just the way you need it. That's the Plastic+Paper difference. Because we know how much each job matters to you. It matters just as much to us.